ACEROLA is a small and sour fruit, also known as a Barbados cherry, which has a delicious and sweet flavour with a slight bite of acid. Recently has ACEROLA drawn significant attention due to its considerable health benefits. It is known as extremly riched with vitamin C. It also contains vitamin A, thiamine, riboflavin, and niacin. Vitamin C deficiency causes many diseases, one of them is scurvy. 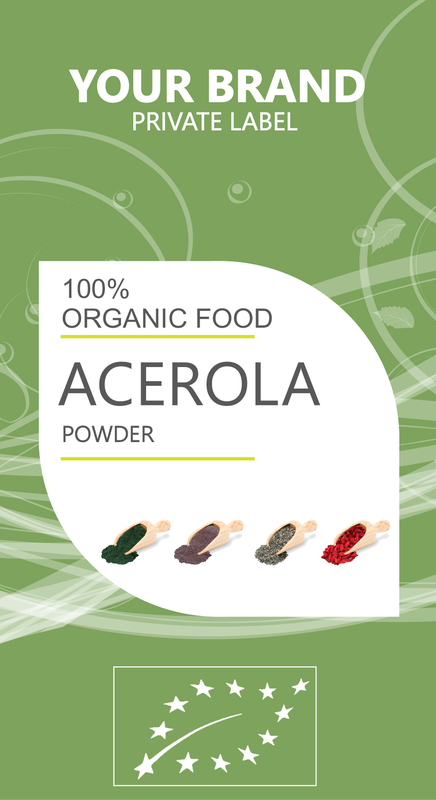 With Acerola you can prevent not just scurvy, but also heart disease, atherosclerosis and blood clots. Some of the most unique benefits of using Acerola for healt includes its ability to manage diabetes, reduce signs of aging, prevent certain types of cancer, improve heart health, increase circulation, reduce allergic reactions, stimulate the immune system, increase eye health, protect the skin and improve mood.